It seems that some users are having problems when depositing funds in Bitfinex. According to Bitsonline, there have been several reports of consumers that their deposits bounced back. Other errores were reported as well. Cryptocurrency exchanges are still in the news because of different reasons. But most of them have a negative impact on the users. This time, the famous exchange Bitfinex, is having troubles with deposits. 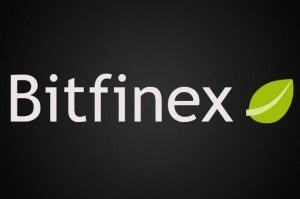 Bitfinex did not give any comment on the matter, but it seems that they know what is going on with their users. When clients want to deposit funds in the platform, it takes 3 to 4 days to process the transaction. But in the same time period, some users get their money back on their bank accounts. In other situations, there is no bounce back or deposit, leaving users without a clear answer about what happened with their funds. Bitfinex is now the sixth most important cryptocurrency in the market with $463 million dollars transacted in the last 24 hours. The most important trading pairs are BTC/USD, ETH/USD and EOS/USD accounting almost 70% of the total trading volume at Bitfinex. Cryptocurrency exchanges have been showing some security flaws that led to hacks and other problems for users. Countries like South Korea and Japan are starting to impose stronger regulations to exchanges in order to avoid these kind of problems in the future. There have been reports about double spend vulnerability but those have not been confirmed yet. Just some hours ago, CoinDesk informed that a South Korean exchange known as Bitkoex, has leaked information about 19 of its users. More than $620,000 dollars’ worth of cryptocurrencies have been put at risk. Some weeks ago, the cryptocurrency exchange Bithumb has been hacked and lost over $30 million dollars from its users.